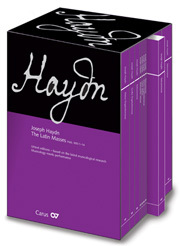 Sacred music is a cornerstone in Mendelssohn’s creative output and it reflects his musical development and versatility. Mendelssohn began composing sacred music beginning with the precocious student works of the 1820s and culminating in the magisterial oratorio Elijah, premiered in 1846 and published in full score only weeks before his death. 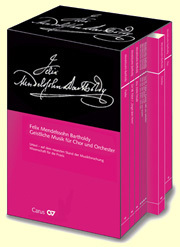 All together, Mendelssohn completed well over 50 sacred compositions, among them a cappella motets, cantatas, psalm settings, occasional liturgical pieces, and oratorios. Much of Mendelssohn’s sacred music was first heard not in the church but in the concert hall, and in the large, popular music festivals he conducted in Germany and England during the 1830s and 1840s. 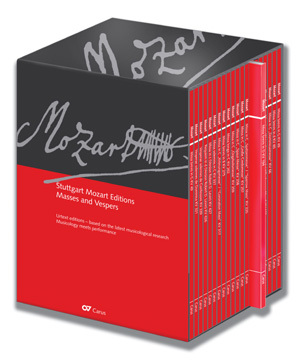 Carus-Verlag has edited the complete sacred works of the composer, including 38 first editions, so that all of these works are available to musicians in critical editions. 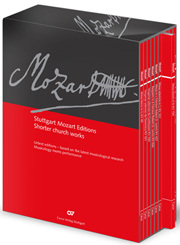 The Stuttgart Mendelssohn Editions include forewords in three languages which provide historical information and analysis of the works as well as critical comments. 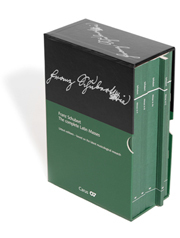 The special edition of the study scores of all Mendelssohn’s sacred works for choir and orchestra which is being published for the commemorative year 2009 opens a door to the work of one of the most renowned German composers.